Top Tax Defenders has a goal to resolve your tax issues as quickly as they possibly can. Their staff has experience working on the frontline of the IRS. Top Tax Defenders has set out on a mission to protect the rights of taxpayers, as they understand full well the IRS is operated like “one giant bureaucratic machine.” They know the ins and outs of the business and know how to get through the red tape set in place by the Internal Revenue Service. This can potentially provide a little more leverage when negotiating cases on client’s behalf before the IRS. The company aims to strictly handle tax resolution and will work for nothing less than what is deserved. Free consultations are offered where a tax professional will address any taxpayer concerns and go over qualification. After which, legal documents are drawn up and sent to the addressee in order to read and understand the contract fully. Once the documents are signed and returned, TTD will perform a financial evaluation to determine the amount which can be afforded to pay the IRS monthly. TTD has done well in providing client care. In addition, they are members of the American Bar Association (ABA) and the American Society of Tax Problem Solvers (ASTPS) giving clients the sense they are practicing ethically and with integrity. 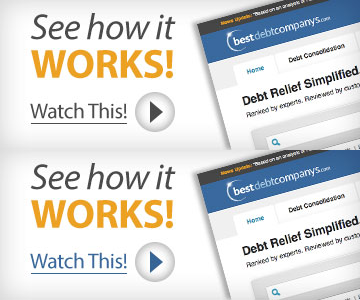 Typically tax relief companies don’t offer such valuable information; however, this company certainly goes above and beyond when attempting to educate the public on all things tax related, proving they have a desire to get clients out of debt and keep them out of debt and safe from the IRS. Like many companies who will cease working on cases until payment is received, Top Tax Defenders is no different. If clients are unable to make the obligatory and prearranged payments, their team of professionals will cease working on the case until payments are received. Although they understand people go through hardship, they put the payment plans in place in accordance with a budget allowing clients to make payments on time. While this isn’t necessary an issue posing as a con, we simply feel it’s important to be fully ready to tackle all aspects of tax resolution by any company hired, and being compliant with terms and conditions set forth. We would also like to see the company hold more professional memberships such as those with the National Association of Enrolled Agents (NAEA) or the American Institute of Certified Public Accountants (AICPA). Top Tax Defenders offers variety of services which could meet your unique set of tax relief needs. They offer a broad spectrum of relief services at fair industry pricing. As with any company, we advise to log all calls and copy all documentation to protect yourself and to ensure they hold up to their end of the deal. We appreciate their offering of educational resources and tools, which are free to the general public. Overall, we recommend taking advantage of their free consultation to determine if they are able to resolve your IRS tax issue. We also suggested comparing their services to our top recommended companies as well. TTD required the industry standard of $10,000 in tax debt in order to retain their tax relief services. If taxpayers owe less, they claim to make exceptions and will adjust their fees accordingly so affordable representation can be extended to everyone. 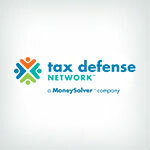 Top Tax Defenders is a tax resolution firm that specializes in IRS tax problems. Its mission is to protect the rights of its clients and to work hard to exceed clients’ expectations. TTD also offers IRS insider knowledge to know what the IRS will accept or reject, as many of TTD’s employees have worked for the IRS as tax examiners and counsels. Top Tax Defenders’ services are available in all 50 states. They have been in business since 2009. The American Society of Tax Problem Solvers (ASTPS) and The American Bar Association (ABA). Yes, they offer a free, helpful consultation to help you understand your best tax options. We were informed that Top Tax Defenders created a tax resolution coalition to separate them from other firms that do not include legal services. The reason for this is because Top Tax Defenders wants their clients to know that they are a tax law firm, not just an accounting firm. Based on advertising we called them and paid 5k for their services. Our company had 50k in debt. They stopped the IRS calls BUT did nothing. In the end the IRS charged us 39k in penalties. Bottom line is hiring Top Tax Defenders cost us 44,000 dollars. Thanks TTD! Just call the IRS yourself. Please do not place your trust in this company. They have worked on my case for 15 months with No results. Since they started I have had more liens placed on me and my spouse has had wage garnishments. As stated by another clients all that Top Tax Defenders did was pass on messages to the IRS. They will Not defend you just try to maintain a friendly relationship with the IRS. Do Not Do it.